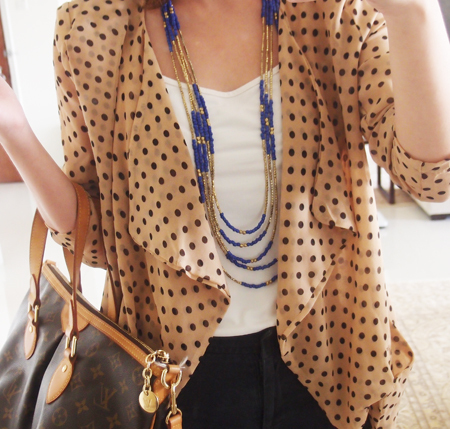 A nice polka dot waterfall cardigan and a blue and gold necklace to give me a pop of colour. 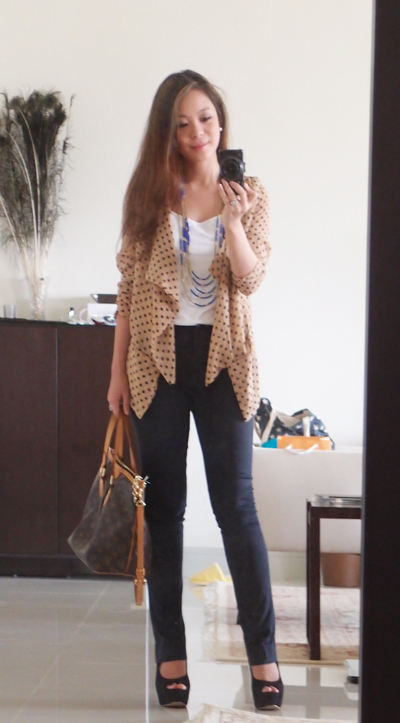 Jacket by Quirky Brown Cow (brown or blue), necklace by LVW (blue or orange), pants by Zara and shoes by Kiss & Tell. hi vivy. who does your hair? i notice when u take a pic for pd daily, your hair is normal but when you’re outside for lunch with the team or a meeting, your hair looks fabulous, like out-of-salon hair. do u have a hairdresser at the office? i wish i could have gorgeous hair like yours everyday! hahaha gee thanks di-pop! nolah, my hair is always normal, unless there’s a photoshoot that day. fatso (i feel bad writing that but that’s the name you put! ), noted!! will try get more UK 12 and above collections for you. Not as easy cos not a lot of local brands do them, but i’m working hard i promise! thanks for the compliments guysss.. super awesome la you all. ahaha don’t feel bad. i am a fatso! boohoo. 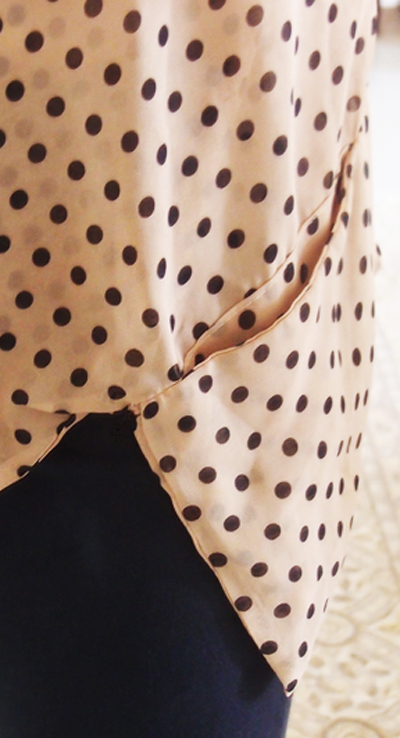 please encourage the local designers to cater to bigger sizes yeah? thanks darling!